Designed by Sumich Architects, this spectacular family home is the ultimate entertainer's haven. There's a stunning gourmet kitchen with huge open plan living flowing seamlessly to private outdoor entertaining and a crystal blue pool surrounded by beautiful sub-tropical planting. A gorgeous formal lounge with gas fire features exquisite built-in cabinetry and a stunning treed vista. Bathed in all-day sun this fabulous home boasts four bedrooms (two with an en suite), study plus the bonus of a spacious media room on the lower level, giving wonderful separate living spaces for all the family. 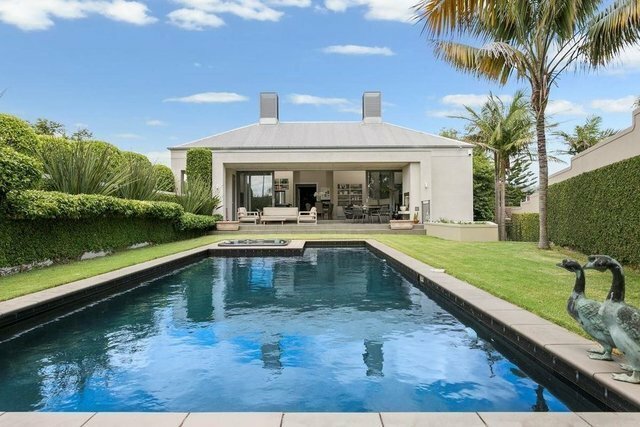 This is a sensational lifestyle property located within a short distance of the CBD and our gorgeous waterfront. Essential viewing!